Game 1 of the series goes this Friday at The Plex, with an 8:30 p.m. start. 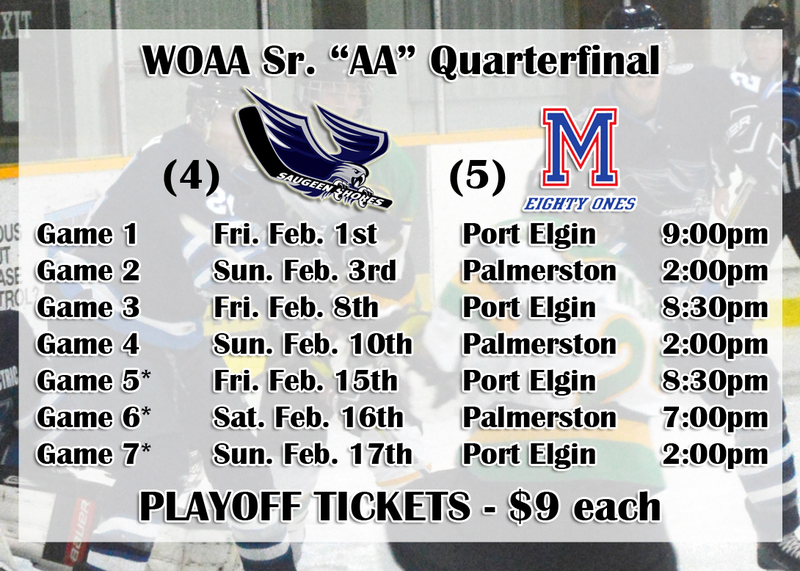 Admission to playoff games is $9 each, please note that regular season game passes are NOT valid for playoff games. Playoff admission is included for season ticket holders. For more information, please see the “TICKETS” section of this website. More recently, the Winterhawks were the victors in both regular season meetings, picking up a come-from-behind 7-6 shootout win over the 81’s in Palmerston on Nov. 10th, followed by a 5-2 Winterhawks win at The Plex on Dec. 9th.